Green Building Education Services has partnered with Sustainable Investment Group (SIG) to offer proven LEED consulting services. Use the contact form on the right to speak directly with a LEED Consultant. Ask them your question or get a complimentary quote, instantly! SIG, a LEED Proven Provider, is a full-service sustainability consulting firm that provides technical and strategic environmentally focused solutions to design, construction, real estate, and building operations professionals to support a high level of performance, value, and quality in the built environment and within businesses and organizations. Beyond consulting, SIG helps grow the green building industry through education and training. The firm is comprised of LEED Accredited Professionals with design, construction, property management, and real estate backgrounds. SIG is headquartered in Atlanta, GA, with satellite offices in Boulder, CO, Minneapolis, MN, New York, NY, and San Francisco, CA. Collectively, the SIG team has worked on over 400 LEED projects and 56 Million square feet of ENERGY STAR, retro-commissioning, commissioning, energy modeling, and energy auditing projects. SIG specialty services include LEED Feasibility Study / Gap Analysis for New and Existing Buildings, ENERGY STAR Sign-Offs, LEED Consulting (EB: O+M, NC: BD+C, Schools, CS, CI, HOMES, and ND), Infrared Building Envelope Imaging, LEED Training, and Green Globes Consulting. SIG has experienced impressive growth due to the quality of service provided by the SIG team, which includes LEED Accredited Professionals, Professional Engineers, and a Registered Architect. Our collective team has worked on a tremendous amount of LEED and WELL projects as well as with all of the major rating systems. You typically hire a consultant for their knowledge and “lessons learned” because they’ve been there before. For those relatively new to LEED or WELL, it can be a real challenge. It is important to get someone on your team that has been there and can show you the ropes. Having worked on more than 400 LEED and hundreds more ENERGY STAR related projects since 2008, our collective team has a solid green building knowledge foundation. The SIG consultancy team is comprised of a diverse group of architects, construction management experts, engineers, real estate and business development professionals dedicated to deliver sustainable platforms for integrated design, construction, operations and maintenance. 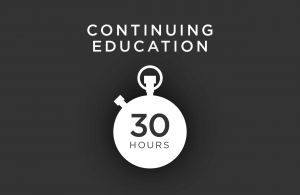 We are often hired to find the quickest, most-economical path to certification. We are the only 3rd party LEED Consultants with a LEED EB Volume program that can be applied to our client’s existing buildings. This is huge! We can save you thousands of dollars on your certification fees, save you months worth of work, and receive instant approval! Our job is to make your life easier. We look out for our client’s best interests even if it isn’t in our best interest. We have a solid green building knowledge foundation. We take the ball and run with it; doing the work and managing the process. We don’t do just “LEED Admin” like some other consultants and push the work to your property management team. You guys are busy enough. Our SIG team gets involved and runs the show, always looking out for the Owner’s interest. We’ve even been told by our competitors that we do more than they would ever think of doing for our fees. We push the project along, ensuring all Policies, Programs, Upgrades, and Best Practices are implemented and documented. We don’t charge you extra for surveys (tenant, lighting control, thermal comfort). We always try to find additional low-hanging fruit credits and will tell you if you don’t have to go after a costly credit after all. We don’t charge you extra for a kick-off meeting or the desired certification level you aim to achieve. Our team has worked on a tremendous amount of LEED projects. We have tried & tested LEED policies that have worked on other LEED Gold projects. We enjoy our work and do believe in LEED and Sustainability. We are a one-stop shop for sustainability and technical services.